of receiving inventory into your facility and making sure the correct product leaves. For increased accuracy and reduced errors, labels are often used in every aspect of work in the warehouse. From receiving and stocking product to picking and shipping orders, correctly identifying your inventory is vital to ensuring your customer gets the right product. 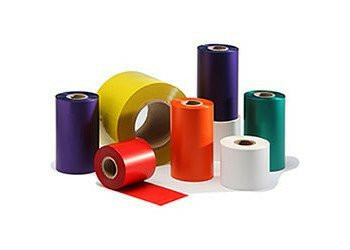 Depending on your warehouse environment, temperatures and the surface where your label will be placed, different label materials will work best with different applications. Read below to learn more about what important questions you should ask when determining what label material your application requires as well as common applications in which labels would be beneficial in the warehouse. Where are you applying your labels? Whether it be cartons, plastic wrap, bins, totes, pallet racking or the floor, different label materials work best with different surfaces. Do you need your label to be permanent, removable or will it be in a freezer? What is the application temperature of the environment and temperature range during usage? 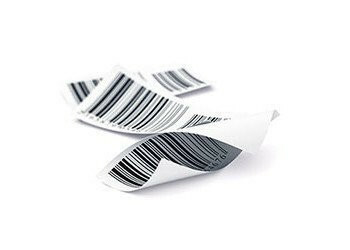 Are your labels going to be barcoded? How far away will you be reading your barcodes from? Do you need any color coding on your labels? How about directional arrows or images? Will my warehouse labels be barcoded? What code should I use? Do I need retroreflective labels? Based on how you will use them are rolls or fan-folded labels going to work better? These are some of the questions to think about when you need warehouse labels. In looking at some of the most typical warehouse labels what is most widely used in the industry? 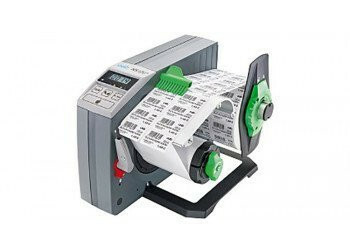 Shipping labels: The most common shipping label is a direct thermal paper label. These are used most widely by UPS, Federal Express and other shipping systems. They are a paper label with permanent adhesive, made for short term use. The typical life of a shipping label is less than one week,hey need to get your package to it’s destination, done. 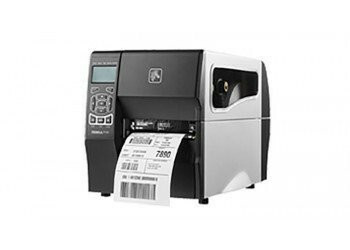 Direct thermal is good here as you do not need to load your printer with both labels and ribbon, you just load the label and it keeps it simple for warehouse personnel. Tote labels: For tote labels you typically want a durable label with an aggressive adhesive for permanently marking totes. Once you place the tote label on it becomes the license plate of that tote and you need this for tracking throughout your warehouse. Totes get abused and you want to make sure your label stands up to these conditions. A couple great tote materials to use would be a laminated paper, polypropylene or polyester material, all with an aggressive 2 mil adhesive to adhere to the tote surface. Flooring labels: Have you ever labeled or taped your floor only to have it scrape off after a couple of weeks? It is important that you have the proper materials that are tough and durable with an aggressive adhesive. Rack, Bin and Shelf labels: A wide variety of rack, bin and shelf labels are available, from adhesive back to magnetic labels. Which is the best for your warehouse? That depends upon what you are trying to accomplish. As you can see there is a lot to consider when selecting labels to identify your warehouse or facility. It is important to work with a partner that has the labeling options to meet your needs, and provide you with solutions that are tested and proven. Every application and condition is different. Just because it works in one place does not mean it will work in all places. Get samples and test it in your application before commiting to a solution. Call our experts today to get started!